Welcome to the Million Cups VenFair: The Madison Startup Ecosystem in miniature! The Badger Startup Summit now includes a microcosm of the Madison Startup scene. Thanks to 1 Million Cups for organizing and hosting the 2019 VenFair in the Discovery Building South Atrium adjoining the forum – each table hosted over the lunch hour (actually an hour and a half) by a key supplier of value-add to Madison Startups. It’s the Madison Startup Ecosystem in miniature. The Million Cups 2018 VenFair floorplan and participants are listed below. Watch this space as the 2019 VenFair takes shape. Event Sponsors participating in the VenFair include, Baker Tilly, Capitol Bank, Kollath CPAs, The LeRose Group at Morgan Stanley, MakinHey!, Murphy Desmond, University Research Park, and the Wisconsin Alumni Research Foundation. The organizations that make up the core of the Madison Tech and startup scene are here today. Several companies that provide expertise and support to Madison entrepreneurs have collectively sponsored the food that will sustain your energy as you roam the tables. Collectively all these organizations bring continuity and add expertise to Madison’s high tech scene. Each table is identified with a sign showing the entity or sponsor. Check them out, learn who does what, make new connections and strengthen connections you already have. Your Challenge: find the resource you need whether it be partners, employees, customers, investors, consulting skills. Go make the connection and learn more. Table ev1 Kollath CPA is a full-service accounting firm with locations in Middleton and Sauk City that offer a wide range of tax, accounting, assurance and payroll services. Kollath’s team of professionals are focused on the health and growth of your business and will give you the personal, custom attention you need to be proactive. We will help you meet your goals. Table ev1 Findorff is one of the Midwest’s leading builders. The Company, established in 1890, is a leader in advancing health and science through the built environment. Table ev2 The University Research Park is a 255 acre research and technology park on Madison’s near West side housing more than 120 companies that employ more than 3,000. The Park operates or supports several entities that participate directly in growing the Madison high tech scene including MERLIN Mentors, Madworks co-working, Madworks Seed Accelerator and @1403, a campus based facility offering events and work space for campus-based entrepreneurs. Table ev3 The LeRose Group at Morgan Stanley develops strategies for businesses and families to help them invest in a manner consistent with their goals and beliefs. The combination of our personal service and the global resources of Morgan Stanley help us provide sound financial advice, integrated solutions and intelligence across the world’s major markets. Table ev3 Baker Tilly Virchow Krause, LLP is a full-service accounting and advisory firm delivering refreshing candor with clear industry insight to connect your business goals with innovative solutions that drive your business forward. Baker Tilly’s industry-focused teams serve clients that are both privately held and publicly traded companies, and occupy all stages of development—from start-ups and family-run businesses to international corporations. Table ev2 Modest in size, but mammoth in creative talent, there’s not much Makin’ Hey! Communications can’t handle. From strategic planning and brand identity to web design and development. From print and packaging design to social media strategy and management, we’ll make your project or organization a splash of color in a sea of black and white and the spicy among the bland. Our crew believes that the status quo is boring, that it’s ok to color outside the lines, and that great ideas always start with a full glass. So, if you’re looking to make some noise amid the quiet, let Makin’ Hey! be your megaphone. Table ev4 The Wisconsin Alumni Research Foundation (WARF) promotes, encourages and aids scientific investigation and research at the University of Wisconsin–Madison and the Morgridge Institute for Research. Founded in 1925, WARF is among the oldest and most successful technology transfer offices in the nation. As the designated patenting and licensing organization for UW–Madison, WARF advances transformative discoveries to the marketplace to benefit humankind across Wisconsin and the world. Upstart is a free entrepreneurship program created by WARF for women and people of color. Table 1 Fine Point Consulting LLC provides a full accounting department to our customers so that you can choose from a menu of services, from everything to day-to-day bookkeeping to forward-looking CFO advisory services. Our goal is to give entrepreneurs more time to focus on strategy, market, and product by taking over your back office work for you, for less than the cost of adding a full headcount to your team. Table 2 Organic Payroll Based in Middleton, Wisconsin, Organic Payroll serves small-medium sized businesses throughout the Madison area and beyond. Whether you are you are hiring your 1st employee or are an established business, managing payroll is a big job. From new hires to tax filing to time-off reporting, we handle all your payroll needs. Each client gets a personal payroll specialist who strives to fully understand the needs and goals of your business. Our extensively trained and CPA-backed employees offer personalized customer service, time savings and increased efficiency, accuracy in reporting and … most importantly…peace of mind that your payroll is being handled professionally and accurately. Our services are all-inclusive, and clients will never have to deal with hidden fees or surprises. We promise that our services will provide you with the complete payroll package your business deserves. Table 3 R.W. Baird Baird is a Milwaukee based, global Investment Services firm that has been in Madison for over 70 years. Everything we are, do and hope to achieve at Baird is driven by a straightforward mission: To provide the best financial advice and service to our clients and be the best place to work for our associates. 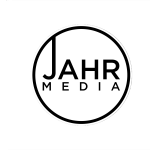 Table 6 Jahr Media LLC is a Madison, WI based professional media company that can provide businesses and consumers with with marketing videos, product photography and videography, events, concerts, weddings, real estate, and so much more! Table 4 Venture Investors LLC Research universities create hotspots for innovation. The combination of exceptional intellectual talent and meaningful research funding sparks the discovery of patentable inventions with extraordinary commercial potential. Universities that are adept at tech transfer create an entrepreneurial ecosystem in their regions that thrives on the talent and ideas they spin-out.The University of Michigan and University of Wisconsin-Madison are two of the largest research universities in the United States,each performing over $1.0B in research annually. Much of this research is focused on human health. With offices in the backyard of these thriving university ecosystems, we are experts at identifying breakthroughs and moving the research projects from the lab to the market. Venture Investors partners with entrepreneurs to commercialize technology in the therapeutic, diagnostic, medical device, and health IT sectors. We’ve developed a national network of syndication and strategic partners, allowing us to harness ideas and capital from outside of the region. With over $200M under management, we believe in leveraging capital and our 30 years of experience to turn innovation into health. Table 5 Ogden Glazer + Schaefer is an entrepreneurial firm. We are entrepreneurs; our attorneys have started, run, and exited their own companies. We are deeply committed to and actively involved in the Madison and Wisconsin entrepreneurial communities. If you need help with formation, angel or venture investment, other financing, IP audits, IP protection, or just a consultation to get you set in the right direction, we can leverage our own background and expertise or make connections with others throughout the community. We can’t wait to help you succeed! The Creative Company is a full-service PR, marketing and web development agency where companies and organizations go when they are building, growing or changing. Clients experience a responsive, connected, knowledgeable and caring approach to their business opportunity. Clients often engage The Creative Company when the stakes are high: during a brand launch, change in the market, competitive threat or any period of fundamental change or transition. Clients benefit from our decades of experience providing counsel, strategy, development and implementation of PR and marketing plans centered around the power of story and data. Table 11 1 million Cups As a program of the Kauffman Foundation, 1 Million Cups works with entrepreneurs, empowering them with the tools and resources to break down barriers that stand in the way of starting and growing their businesses. Mr. Kauffman believed it was a fundamental right for anyone who had a big idea to be able to bring it to life—and we’re here to fulfill that mission. Table 11 Starting Block is a physical embodiment of Madison’s tech and startup scene. 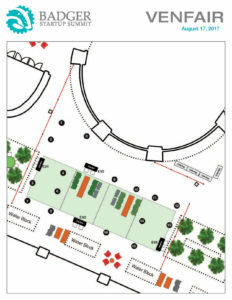 To be located in the Capitol East Gateway, StartingBlock will foster economic development through partnerships among existing industry players and regional startups and through linking Madison to other communities throughout the Midwest. Table 15 The Law & Entrepreneurship Clinic (L & E Clinic) provides free legal services to nascent entrepreneurs and early stage companies through the work of law students supervised by faculty and private sector attorneys. In collaboration with Madworks Seed Accelerator the Clinic also connects entrepreneurs with mentoring and related resources in the entrepreneurial ecosystem who can help them launch. Table 12 Atlas Providers is a network of local, specialized startup service providers who are passionate about entrepreneurship and have a proven track record of working with emerging companies. Our platform provides a digital community where entrepreneurs can easily search, review and connect with curated service providers in a transparent and simplified manner. Table 13 MERLIN is a free team mentoring service focused on helping entrepreneurs navigate the challenges of a startup venture. MERLIN mentors are peer-reviewed volunteers who have masterfully started and managed new ventures. These mentors use their skills, experience and enthusiasm to guide emerging entrepreneurs in early stage ventures to boost the potential of business success. Table 13 100State is Wisconsin’s largest co-working space by membership. More than coworking, 100State serves as a community and home for problem­ solvers, creatives, and entrepreneurs designed to inspire collaboration and create connections that unleash Madison’s community potential. Table 14 Horizon is a community workspace offering individuals and early stage startup teams a downtown hub to work and connect. Matrix is a collaborative business facility located on Madison’s near West side offering workspace for business, arts and wellness professionals. Matrix and Horizon members enjoy reciprocal access to both locations. Table 12 gener8tor is a nationally ranked accelerator that invests in high-growth startups. Twice a year we invest up to $140K in each of five startups who receive a concierge experience during our 12-week program. gener8tor supports the growth of these startups through our network of experienced mentors, technologists, corporate partners, angel investors and venture capitalists. Table (15) WiSolve WiSolve Consulting Group is a Wisconsin non-profit strategic consulting firm that provides data-driven business solutions for Wisconsin companies while providing our graduate student and postdoc consultants with practical experience in the business of science and technology focusing on the development of transferable skills and business acumen. Table (14) Capital Entrepreneurs is a community group for Madison area entrepreneurs, and is the social fabric that ties much of the Madison entrepreneurial community together. Our members are dedicated to fostering entrepreneurship by bringing entrepreneurs together to create new connections and a community around the startups in Madison. CE focuses on social and networking events that include smaller scale monthly meetings, all the way up to large 400+ socials. CE has also initiated and organized a number of other entrepreneurial events throughout the ecosystem.